Structured between the unique blend of architecture and scenic beauty, Bertie County offers a visual journey into northeastern North Carolina's wealth of heritage. 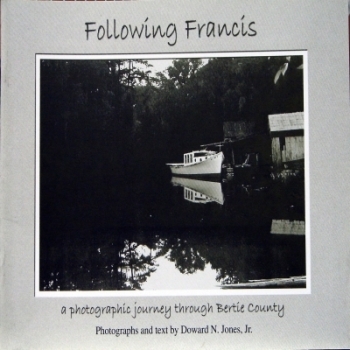 Photographer Doward Jones, Jr. follows the footsteps of Bertie's native son, Francis Speight, whose paintings capture a vision draped in form and light. Taken over a thirty year span, his images reflect a mission to record a timeline of history interlaced with the quiet light that graces the land. To preview some of the photos look in our photo gallery by following the link at the bottom of our website.